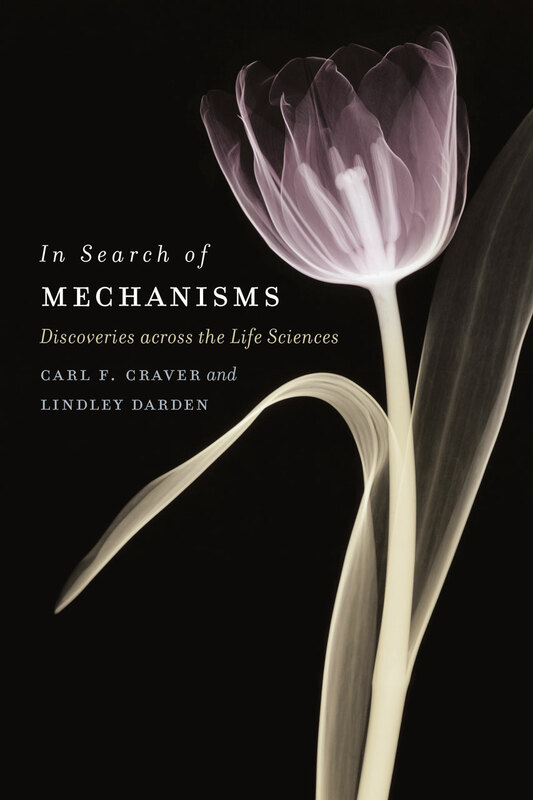 With In Search of Mechanisms, Carl F. Craver and Lindley Darden offer both a descriptive and an instructional account of how biologists discover mechanisms. Drawing on examples from across the life sciences and through the centuries, Craver and Darden compile an impressive toolbox of strategies that biologists have used and will use again to reveal the mechanisms that produce, underlie, or maintain the phenomena characteristic of living things. They discuss the questions that figure in the search for mechanisms, characterizing the experimental, observational, and conceptual considerations used to answer them, all the while providing examples from the history of biology to highlight the kinds of evidence and reasoning strategies employed to assess mechanisms. At a deeper level, Craver and Darden pose a systematic view of what biology is, of how biology makes progress, of how biological discoveries are and might be made, and of why knowledge of biological mechanisms is important for the future of the human species. "[Craver and Darden] succeed admirably in their main explanatory purpose--to illuminate for a larger public, the workings of the engine of scientific discovery." "Very few books truly integrate history and philosophy of science; this is one of them. Its goals are philosophical, but the rich tapestry of history of science that it brings to bear in, and around, the quest to understand mechanisms is impressive. . . . It will be a valuable addition to biology, history, and philosophy library collections. Highly recommended." "A particularly refreshing aspect of Craver and Darden’s account is that it does not advocate for one particular point of view while criticizing the arguments of others. Instead, the different aspects of mechanistic research (and thus its complexity and diversity) are laid out, well illustrated by a variety of examples from such different biological fields as molecular genetics, physiology, and neuroscience, often—though not exclusively—from the twentieth century." "Craver and Darden have played a key role in shifting the attention of philosophers to mechanisms over the last decade. The literature on mechanisms in philosophy of science is now vast and for good reason: If we want to understand how the majority of biological research is done today, we have to understand how scientists reason about mechanisms. . . . In Search of Mechanisms provides a unique and accessible contribution to both studies of science and science itself." "It is a pleasure to read how investigators proceed from How…possibly? to How…actually, from rough black box sketches on napkins to ’glass boxes’ whose inner workings are fully revealed…. [A] readable, recommended book." "A well-written and well-thought-out book that goes into the thought processes of scientists and how they work. Scientists may use a different vocabulary to describe how they work, but they will benefit from the insights of Craver and Darden as they explore how scientists in anatomy, physiology, genetics, developmental biology, and neuroscience worked out some of the major findings of the 20th century." "A highly readable and disciplinarily diverse compendium of the varieties of mechanisms encountered in biological systems and the means by which they are studied. For this reason, and the fact that much of the substantial earlier material on this subject was written by the two authors, Carl Craver and Lindley Darden, individually and jointly, it is likely to be the classic reference in this area for many years. . . . This is a needed work on a critical biological subject, and it is implemented in a wide-ranging and accessible fashion."